Still Waiting On Your Scaffolding Accident Settlement? Construction sites are generally not safe places. They are home to many tools, toxins, and materials that can severely injure someone. But it’s not just the materials lying around that can be a danger; the structure itself can also be hazardous. One aspect of a construction site that is extremely risky is the scaffolding. These are platforms that workers use in order to climb the full height of the building. Scaffolding is, by its very nature, temporary and doesn’t exactly create a secure working environment. If a worksite follows the rules and regulations for scaffolding safety set by OSHA, then all of these incidents could be prevented. Over 2 million construction workers rely on scaffolds frequently in their work. When these employees are not properly trained and the scaffolding is not erected according to set regulations, construction workers are exposed to numerous hazards. Whether you’ve been injured on a mobile scaffold, pipe scaffolds or other structure meant to help you reach great heights on an unfinished construction project, you are entitled to compensation for the damages you have suffered. The professionals at Pravati Capital understand how difficult it is to determine which attorney is best suited to fight your case. That’s why we’ve taken the work out of attorney selection and have developed a vast network of attorneys with various specializations. We can review your case and match you to the perfect lawyer for your scaffolding accident suit. 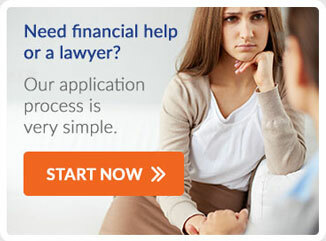 But we know that finding an attorney isn’t the only challenge facing you. Often, the time between filing your complaint and settlement or adjudication is a long one, and when you’re suffering damages, you need money to help pay medical bills, replace lost wages and more. Pravati can provide legal financing that helps you manage these expenses and hold out for the settlement you deserve. If you experienced a Scaffolding Accident, contact Pravati Legal Funding today.